Earlier this month, LWGMS Future Ready Capital Campaign major donors Dave Matthews and Ashley Harper P’16 joined us for a hard hat tour of the site of the new and permanent home for L-Dub, quickly emerging from the ground. Along with Director of Advancement Becky O’Boyle and Jim Graham, Anjali Grant, and Leann Crist of Graham Baba Architects, David and Ashley toured the spaces and met the construction crew. 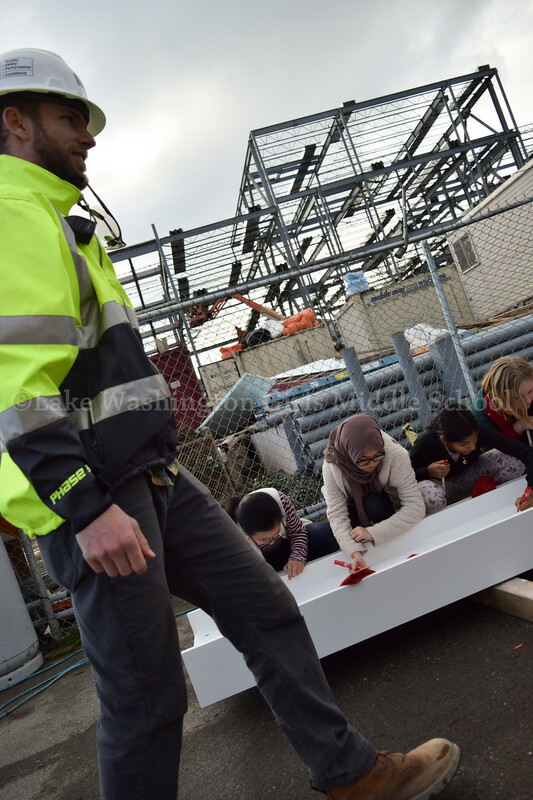 David also enjoyed a ride in the cherry picker to bring him to sign the beam – previously signed by our students, faculty, staff, and other donors – already in place. David and Ashley have been instrumental in making the new home for L-Dub happen, and we are forever grateful to them. Thank you to Edwin Fotheringham P’12 for the photos! The National Business Officers Association featured the a story about the funding ins and outs of the LWGMS and Giddens co-location collaboration in the March/April 2019 edition of NetAssets magazine. Check it out to learn more about our unique and innovative partnership and project. Thank you to those of you who attended Lake Washington Girls Middle School’s Sisterhood Luncheon yesterday. We missed those who couldn’t make it due to the snowpocalypse date change, and appreciate everyone’s flexibility and good humor! We hope our students, our program, and Kajal Deepak inspired you and that you left feeling part of a community committed to preparing girls to make an impact in the world they want to live in. I appreciated these words from Kajal: "Big things happen because people do their small parts." We are thrilled to have you on this journey with us and hope you’ll stay engaged! Today was an exciting day in our construction project! Members of the Classes of 2019, 2020, and 2021 spent some time at our new campus to sign the last structural steel beam to be installed in the new building. In construction custom, they signed their names in permanent ink – red, of course – to make their own personal marks on the project, and indeed, on the future of LWGMS. Joel Palmer and Brandon Elley, Exxel Pacific Project Manager and Sr. Project Engineer engineered and managed our group, and VP Bill Bieber even drove by to take in the festivities! (Link in bio for more pictures.) On February 6, during a small Topping Off ceremony, the construction team, supervisors, tradesmen, architects, LWGMS and Giddens board members, donors, and other distinguished guests will also sign the beam, just prior to raising it to its final placement, marking a new phase of the project. Thank you Exxel Pacific for including us in this tradition! Bring on the wrecking balls! Demolition has begun at the site of the permanent new home for Lake Washington Girls Middle School! Our new home will enhance L-Dub programs and promote better learning. Equally important, it enables us to prioritize the health and wellbeing of youth and families and strengthen our community—honoring the historical significance of the site where we will live. Imperial Lanes and Lounge opened in Seattle’s Rainier Valley in 1959 and was run by Fred Takagi, a prominent leader in the Japanese-American community, for 30 years. Born in California to Japanese immigrant parents, Takagi moved to Seattle with his family and graduated from Franklin High School. After internment in Idaho during WWII, he returned to Seattle and ran his brother-in-law’s bowling alley before forming an ownership group with other businessmen to open an even larger facility, Imperial Lanes, that would become a hub for the Japanese and Chinese communities. The Imperial Lanes owners chose to sell the land to our school because of their deep family value for children and education. To honor the legacy of both the Takagi family and the Nishimura family, who ran Imperial Lanes from 1992 to 2015, we plan to salvage timber trusses from the Imperial Lanes building and repurpose them in the entries of our new home. Lori Matsukawa reported this week on the history of the Imperial Lanes site. Watch her story on King5. Together, we have the opportunity to write a bold and meaningful new chapter for this storied block that includes strengthening opportunities for a diverse group of young girls and their families. We are honored that you are all a part of the story, too. 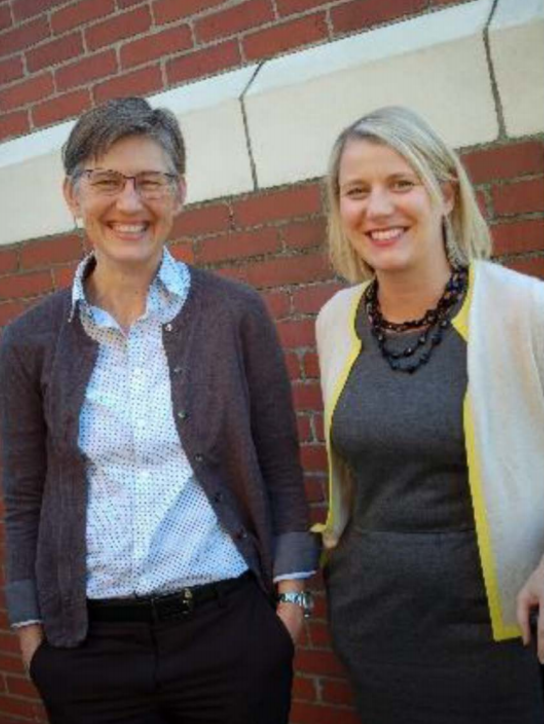 It's official and the cat is out of the bag: After initiating this project in 2016, LWGMS and Giddens School searched for like-minded organizations to share the block, and sold a parcel of the land to JazzED and Capitol Hill Housing who have announced their partnership to develop space adjacent to the schools for music education and affordable housing. While these four entities will all continue to operate independently, they share a commitment to social justice and activating a community with attention to access, equity, and empowerment. Read the official press release and stay tuned for info on demolition, scheduled to begin this Friday, August 17, 2018! LWGMS has reached a major milestone — this spring we mark 20 years since we enrolled our first students at L-Dub. 20 years! L-Dub is growing up. And we’re excited for what’s next. As many of you know, we have leased our current space since 2007, and our building committee spent years exploring alternative locations for our school before resigning to negotiating a new lease. (Thank you, building committee.) That 20-year lease would have required us to spend more than $4 million to address seismic, structural, and ADA upgrades, but still, the constrictions imposed by an aging facility would limit our ability to provide fully progressive programming to our girls. Out of the blue, almost 20 months ago, we were approached by Giddens School, a pre-k through fifth grade school in the Central District, that was facing similar challenges and also seeking a safer, modern, long-term facility. Through trademark innovative thinking, we partnered with Giddens School to purchase and develop land and build a modern, new campus where we can both exist—retaining our independent identities, but sharing resources to accomplish more together than either of us could alone. Our new school will be built at 2101 22nd Avenue South: the former site of the Imperial Lanes bowling alley. Like L-Dub, Giddens School is one of the most diverse independent schools in the area. Also, like L-Dub, Giddens School emphasizes rigorous academics alongside a focus on students’ social and emotional wellbeing and social justice. The efficiencies we gain by sharing financial, intellectual, and material resources will allow us to stay small and lean and true to our roots. We believe this partnership— to build a campus from the ground up on which we will co-locate —is the first of its kind. It’s a cost-effective and sustainable project that could be a model for schools and nonprofits. Our project team is practicing innovation within constraints every day to come up with a dynamic and feasible plan to meet our goals. We are committed to building the most environmentally-friendly campus possible within our budget, using the Living Building Challenge as a conceptual framework. We hope to break ground this summer, and move in the fall of 2019. We are grateful to our partners! On May 18, we will celebrate our 20th anniversary and toast L-Dub’s next big move into our permanent new home. Join us! Bring your friends! Please, send us your ideas or questions, or come by and have a look at the latest plans. Since we opened our doors in 1998, we have worked hard to prove that a learning environment encouraging girls to take risks, explore leadership, solve problems, collaborate, and stand up for themselves and others is an educational model that works. We are preparing girls with the tools they’ll need for the future. Just imagine what we can do in facilities that are future-ready, too! Thank you to all who joined us for our capital campaign event, Inspiring Girl Activists: Walls to Bridges, last night! We were delighted to share our work with middle schools girls with you and to explore how together we will inspire and empower (even more!) girls to be strong in mind, body, and voice. Thank you to our generous hosts Becky and Joe Sherman P'17, for opening their home to our guests. We were honored to have several prominent community members – Jenny Zavatsky, humanities teacher, Lake Washington Middle School; Heather Clark, racial literacy consultant, and teacher at University of Washington, Cascadia College, and Rainier Scholars; Eliaichi Kimaro, filmmaker and activist; and Nisha Nathani, Dean of Students and Inclusion, Lake Washington Girls Middle School, talking to our guests about how our program, grounded in disciplines of social justice and mindfulness, is empowering the next generation of young women to be Strong in Mind, Body, and Voice. 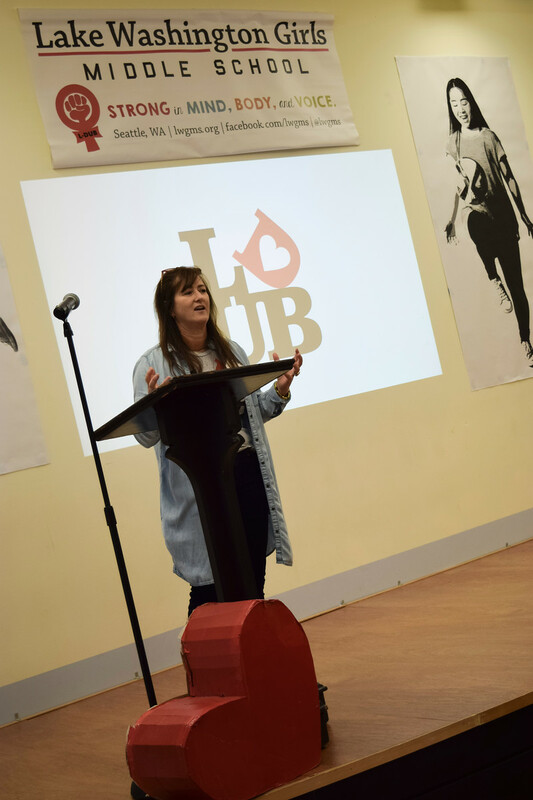 Student body president Mia ’18 and alum Celia ’17 shared their personal experiences with mindfulness, empathy, and activism, and Ms. Hearn – L-Dub’s very first champion of social justice – gave a powerful speech about why L-Dub is so important. Thank you also to campaign cabinet member Rachel Ligtenberg P'18 for giving an enthusiastic and inspiring peek into the project to build our new home. It was a great event! As Becky O'Boyle mentioned, "we are mighty but small" and appreciate your interest in our school, or program, and our sustainability. See Ms. Hearn's talk here. Thank you to all who started their day at L-Dub today, discussing Inspiring Girls Through Athletics and Outdoor Education! 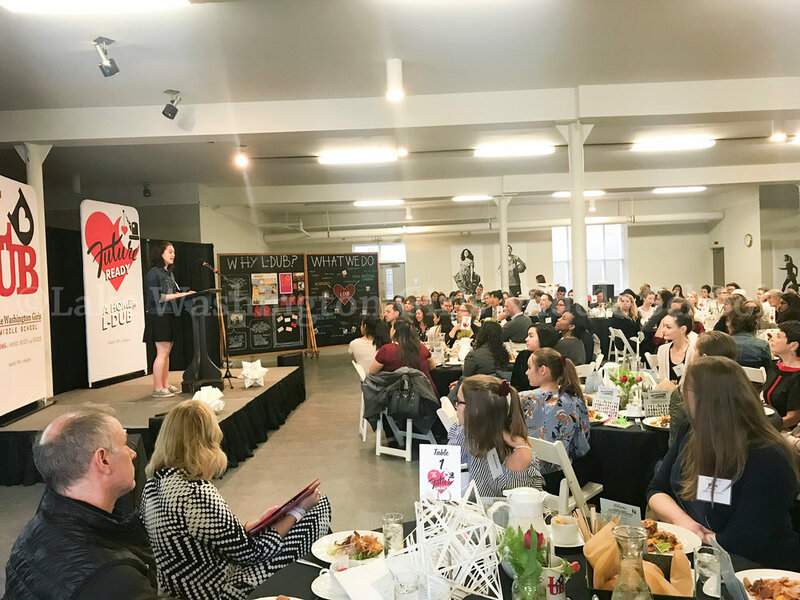 We were honored to have several prominent community members – Teresa Predmore P'19, Co-owner, Seattle Reign FC; Andreea Niculescu, Senior Brand Strategist, REI; Michaela Staniford, Manager, Atavus Rugby Academy; and Shannon Kelly, Associate Athletic Director, University of Washington – speak about their leadership experiences, and it was great to hear stories of risk and triumph from alumnae Sophia '14, captain of the Garfield High School co-ed wrestling team, and Anna '12, sophomore at the University of Washington, and L-Dub outdoor program guide/mentor for three summers running. 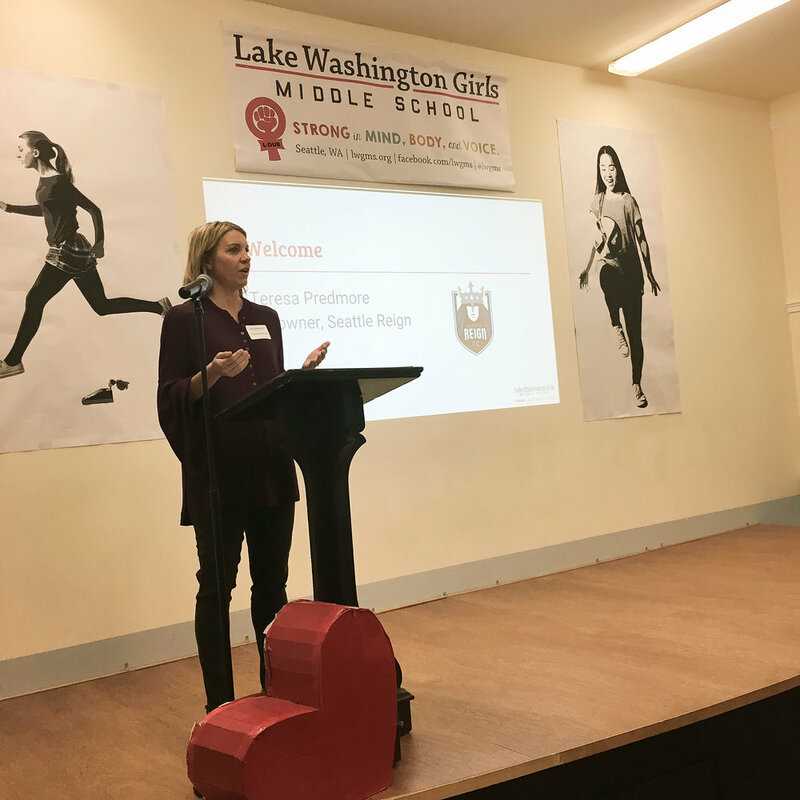 And finally, thank you to our (black-belted) Head of School Patricia Hearn who spoke about why sports and outdoor ed matter (a lot) at L-Dub, and to campaign cabinet member Rachel Ligtenberg P'18 for giving an enthusiastic and inspiring peek into the project to build our new home. 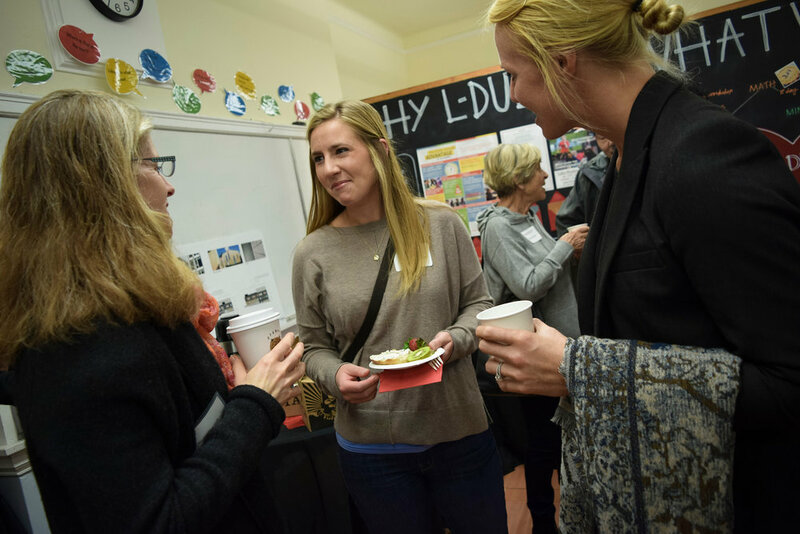 While we had planned a Community Conversation to discuss A New Home for L-Dub, we are finding that most of you are pretty busy this time of year, and it’s difficult for people to attend. Therefore, we are postponing the event. Instead, I’m conveying our update via email, and I’ll be happy to follow up with answers to any questions you may still have about our project and our campaign. We have made solid progress over the last five months, working closely with our Board’s executive and finance committees, our financial and fundraising advisors, the construction project manager, and the design team to come up with an exciting and feasible plan to meet our goals. Last week, our building partners – Costigan Integrated, Graham Baba Architects, Anjali Grant Design, and Cascade Design Collaborative – hit a big milestone: They submitted schematic designs to the city to apply for our master use permit. We are on schedule to begin construction one year from now and move in in the fall of 2019. Big thanks to community members representing us on the Two Schools Campus Planning Committee: Julie LaLuna, Charito Sotero de Menezes, Ethan Schoonover, Andrew Rauch P’15, and Danielle Tilden. Working in parallel with the design/construction team, our capital campaign team has been lining up prospects we can cultivate for corporate, foundation, and individual donations -- and creating an integrated marketing strategy to reach or influence them including print and digital collateral, PR, and an event series that will launch next year. Our initial focus is on anchor gifts and foundation support, and we plan to launch a broader community campaign next fall. This is a big effort, so in addition to our board of trustees we have assembled a thoughtful team of volunteers to assist us as our Campaign Cabinet. We appreciate the support of these folks who will be instrumental in helping us achieve our goals: Doug Greene P’17, Danielle Tilden, Alison Alhadeff, Aaron Hendelman P’19, Hannah Keyes ‘08, Rachel Ligtenberg P’18, Anbrit Long, Erika Shaffer P’15 and P’17, and Jeff Sprung P’15. We are thrilled to be working alongside Giddens School to secure both our schools’ futures with this cost-effective and sustainable model. The new, modern space will allow us to enhance our programs and promote better learning; the efficiencies we gain will allow us to stay small and lean--and true to our roots. Please send us your ideas or questions, or come by and have a look at the latest architectural sketches. It’s very exciting! Sometimes in life, opportunity just looks up and stares you in the face. 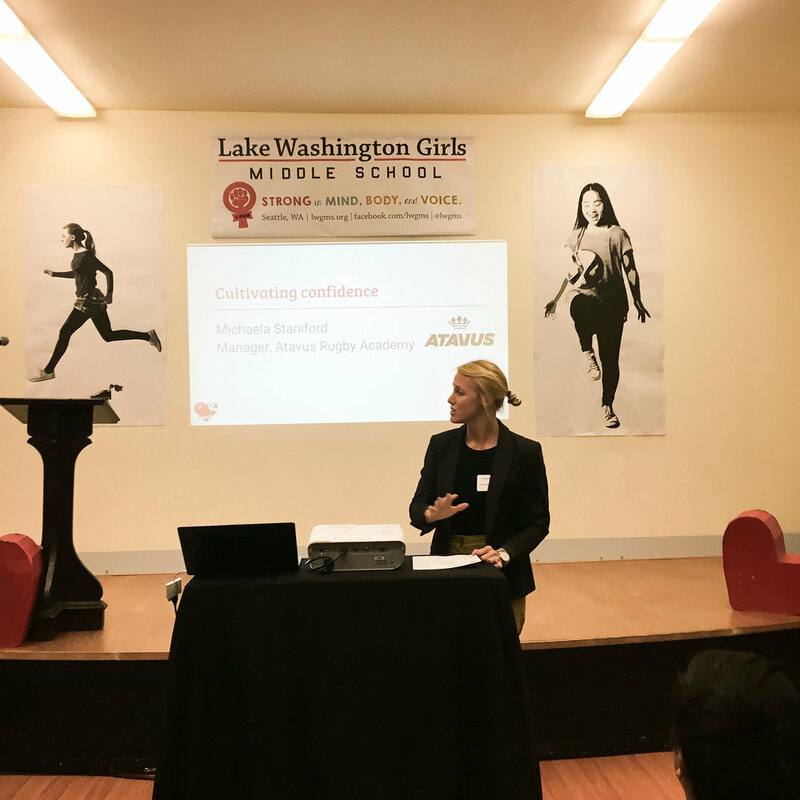 Such was the case when the two schools we've been entrusted to lead – Lake Washington (LWGMS) and Giddens – found ourselves wrestling with near identical dilemmas. How can we continue to be viable schools for the rest of the 21st Century while operating in outdated, unsafe, rented facilities? 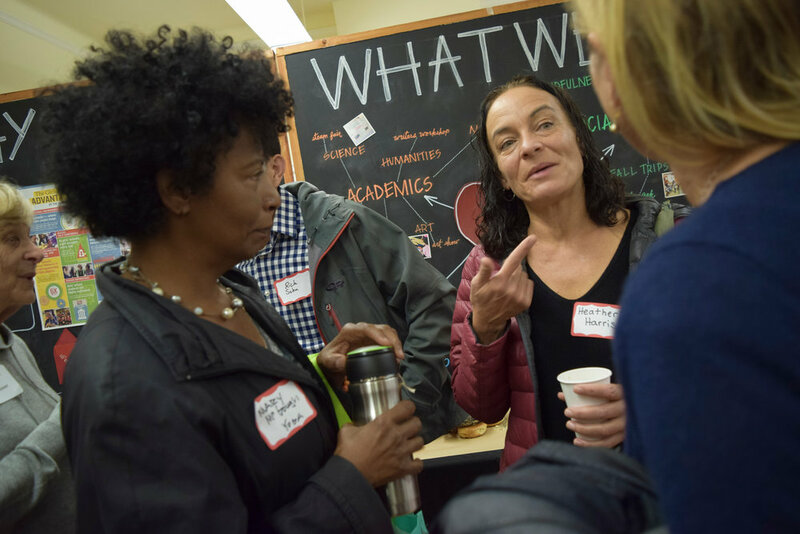 How could we maintain our Central District location, continue to serve a diverse array of families and keep our focus on combining academic excellence with equity and social justice? Coming together around the same set of problems presented an equally obvious solution: Join forces to construct a new facility that would serve both schools, allow each school to maintain its own identity, to grow and thrive, and, by the way, require each of us to only come up with approximately half the cost of constructing a new facility on our own. We and our boards are committed to doing just that by jointly securing the site of the former Imperial Lanes, at 2101 22nd Ave S, Seattle, WA 98144. Historically and currently, each school is one of the most diverse independent schools in Seattle-diverse in terms of students' race, ethnicity, economic status, and family configurations. This diversity is essential to LWGMS and Giddens' ability to uphold their commitments to educating students not only about diversity, but within diversity. Sharing our combined resources – financial, material, or intellectual – allows LWGMS and Giddens to deepen, expand, and sustain our reach. This means maintaining our commitment to offering robust financial assistance to a wide range of families. The sharing of the construction costs, long term operational costs, and aspects of our facility allows LWGMS and Giddens to remain small and committed to financial assistance, while also allowing us to secure our future. Making this happen will require a serious commitment from supporters of both of our communities. We invite you to lean in at this critical moment in both schools' history and learn how you can be part of making this dream come true.